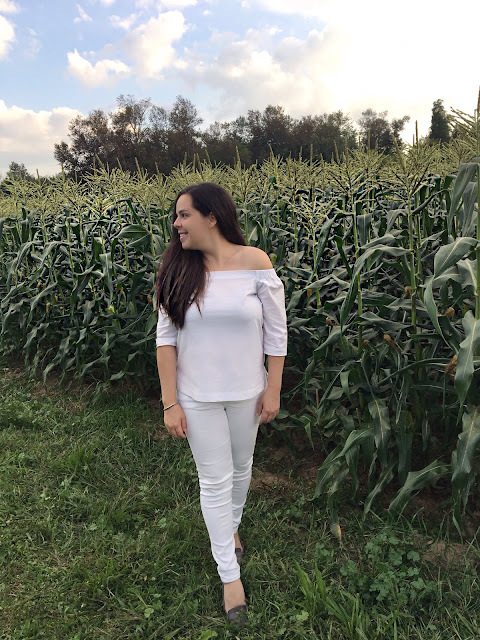 In the Winter, I wrote a post about Winter whites and how to feel confident wearing white even with all the weather elements against you. I have worn a lot of white this summer so I wanted to do a round up of some of my favourite white staples. Lots of you always tell me how afraid you are of wearing white because it's a fact of life - you wear white and that's the day you spill your coffee or yogurt that morning! I'd encourage you to give white a chance though and if you're still super freaked about getting it dirty, try wearing white with light patterns! I have linked some of my favourite white staples at the bottom. 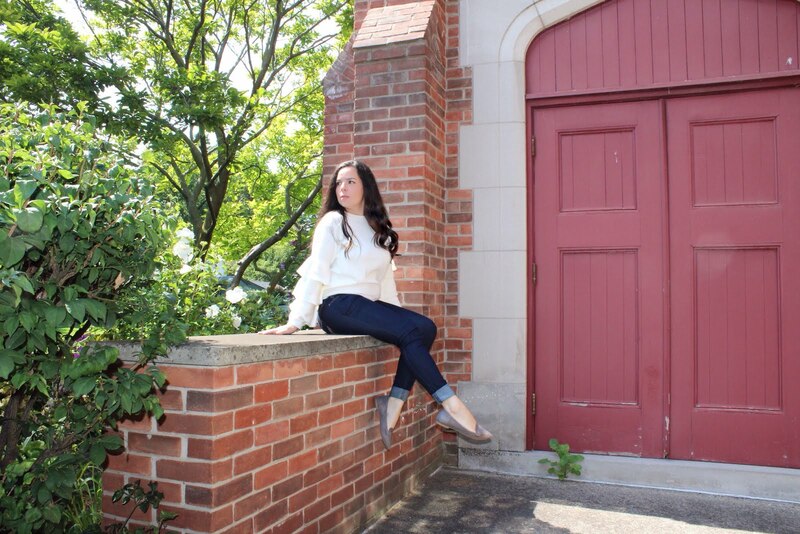 One of my favourite buys this summer has to be the white jeans from Banana Republic. I bought these in petites so the length is perfect on my 5'0 stature. Another of my favourite purchases of the summer was this off-the-shoulder white shirt. The material is a bit thicker so it reminds me of fresh, sun-dried laundry. This one actually ran a bit big so I had to size down to xxs. I love the fact that it doesn't ride up though and actually stays off-the-shoulder. Rompers are always such an easy choice for warmer months. As we begin seeing chillier evenings, it's easy to throw a cardigan over this one. Rompers are so versatile and you can pair them with flats, wedges, loafers or casual sneakers; depending on the look you are going for! Going apple picking in a few weeks? Wear your romper with cute rain boots and a cardigan! For an easy look to help you transition to fall, add a sweater with some drama. This sweater was perfect for smaller frames because I felt it had the right amount of drama without overwhelming a petite figure. It's a great way to wear the new trend while still keeping the classic look.